Thor: Ragnarok starts shooting on Australia’s Gold Coast on July 4th, and production there is expected to last until October. It’s a big movie though (especially as it will be attempting to find a balance between the God of Thunder’s story and a loose adaptation of Planet Hulk), so it makes sense that the Marvel Studios release will shoot in a big country. 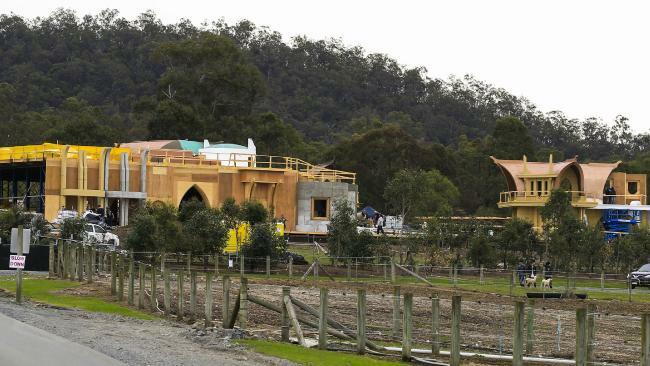 As you can see in the gallery above, the first photos from the set have surfaced today and they appear to show some Asgardian buildings. That was to be expected, but the Gold Coast Bulletin goes on to reveal that “several spaceships” are also being built. That makes sense considering the fact that Thor: Ragnarok will take the hero on a cosmic adventure, but it could be that this movie ends up having more in common with Guardians of the Galaxy than previous instalments of the Thor franchise. The site also managed to catch up with Thor: Ragnarok director Taika Waititi, and he had this to say about how work is progressing. He may be relaxed now, but the pressure is on FOR Waititi to deliver the most epic Thor movie yet, especially as fans have always had mixed opinions to the first two. Things are looking good so far though, and while something being shown off at Comic-Con seems unlikely, we’ll no doubt hear more about Thor: Ragnarok before 2016 is over.